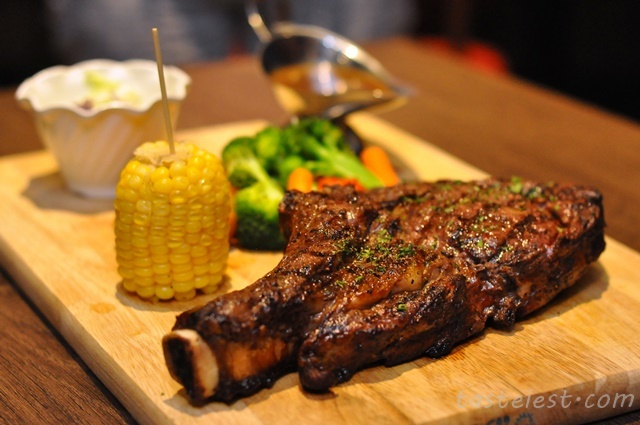 Welcome to The BARN Gurney Paragon, we are getting excited today with the limited offer of Tomahawk Steak. What so special? That steak as big as Axe and as heavy as well, it weight almost 1kg. 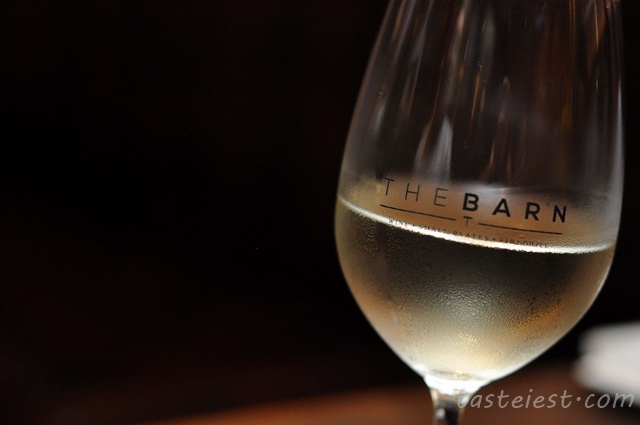 We always excited to visit The BARN as we are pork lover and their pork always da best, check previous review of The BARN Wine Bar that we eat whole lot of finger licking pork. 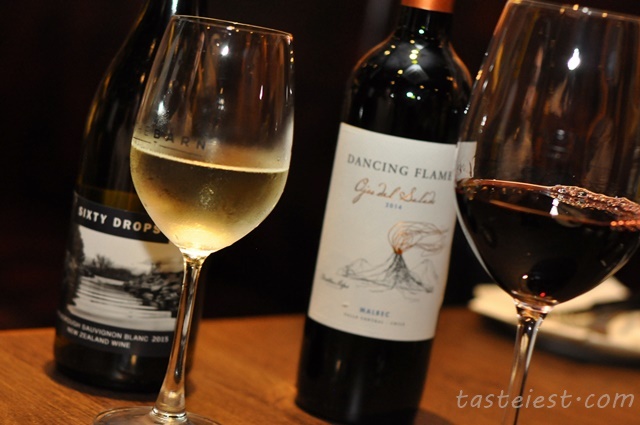 Sixty Drops Sauvignon Blanc (New Zealand) RM79.9 & Dancing Flame Malbec (Chile) RM89.9. 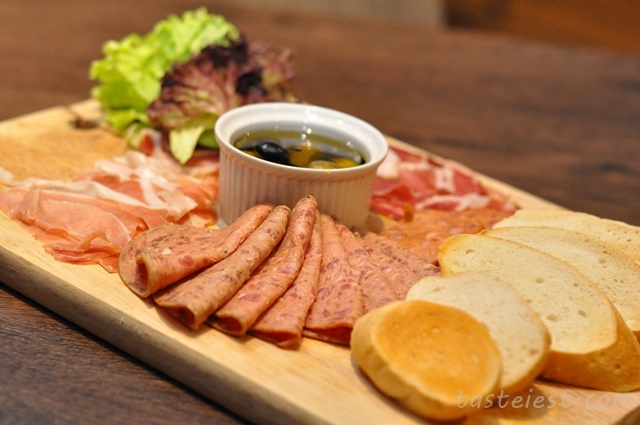 Cold Cuts RM55, various type of cold cut include 4 types of premium meat, served with mix of olives and balsamic vinegar. 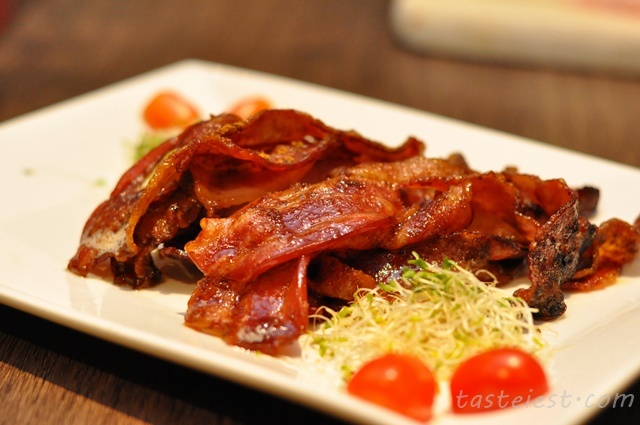 Candy Bacon Platter RM29, generous amount of nice crispy bacon coat with a layer of sweet sauce. I love it so much. 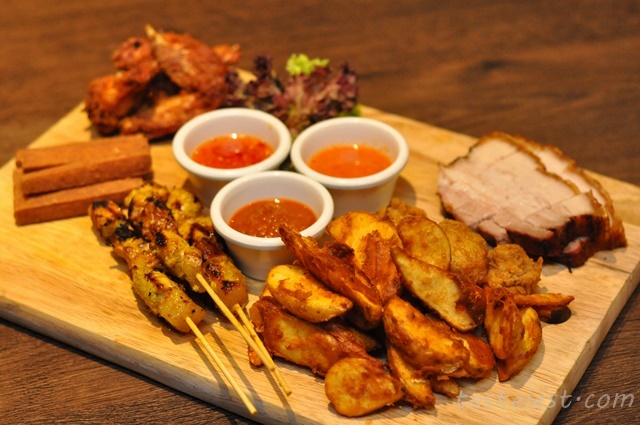 Tapas Combo Platter RM68, a combination of Satay, Ham, Potato Wedges, Button Mushroom, Roasted Pork and Chicken Wing. Best tapas to goes along with beer, a plate of Tapas Combo is good enough for sharing with a couple of friend with a few cup of beer. Deep fried Button Mushroom taste awesome, it is something special that we never try before. Other deep fried items are as good, not greasy at all. 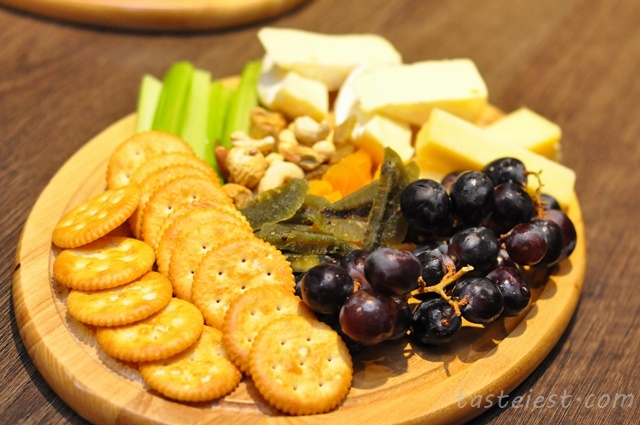 Cheese Platter RM45, two different type of cheese, assorted dried fruits, grape, celery and biscuit combination. Well, we found the cheese to be too generous as we 9 person only consume half of it, it will be good if more biscuit provided as applying a thick layer of cheese with add on dried fruits on top of biscuit is perfect combination. Oven-baked Portobello Mushroom with bacon, tomato and cheese RM29, fresh big meaty Portobello mushroom baked with salsa dressing on top with a touch of cheese. 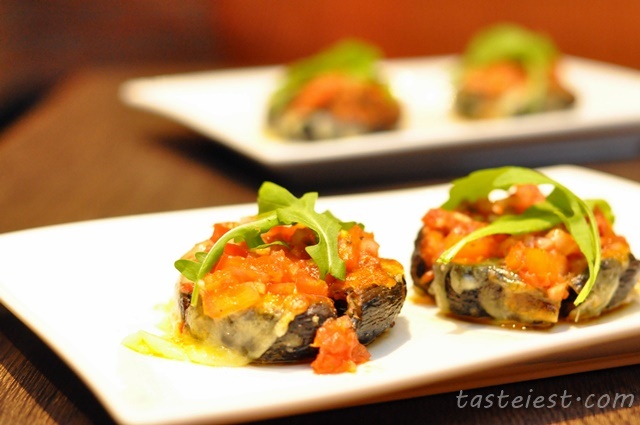 It is very juicy and taste refreshing, acidity from tomato help to boost mushroom flavor. Crispy Pork Belly RM29, signature dish. 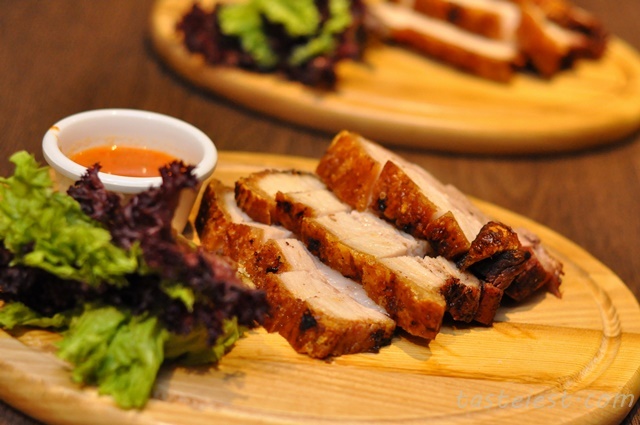 The pork are fresh and taste good, with the crispy skin it gave a good crispy texture. Dipping with the garlic chili sauce making it taste good. 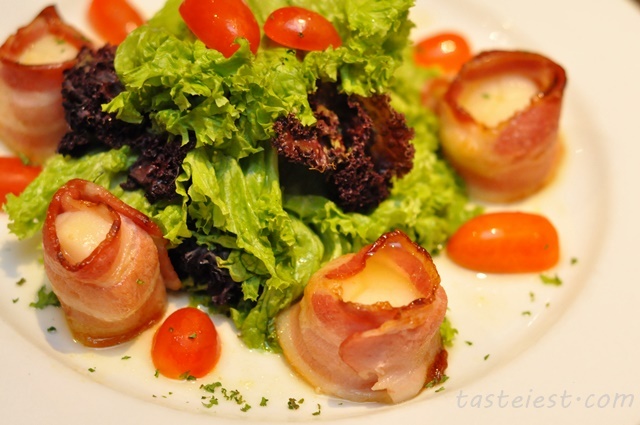 Bacon Wrapped Scallop RM37, big succulent scallop wrapped with bacon served with green salad. Bacon strong flavor slightly overpower the fresh scallop taste, the bacon somehow has too much of sweet taste. If it is just plain bacon i believe it should taste better as the fat from bacon should help to enhance the scallop taste. 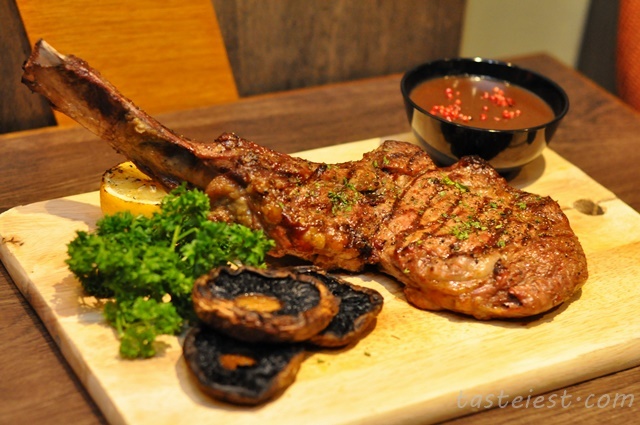 Tomahawk Steak RM288++, awesome 850gram to 1kg steak that is limited time offer at The BAR°N from 1 October till 30 November 2016. 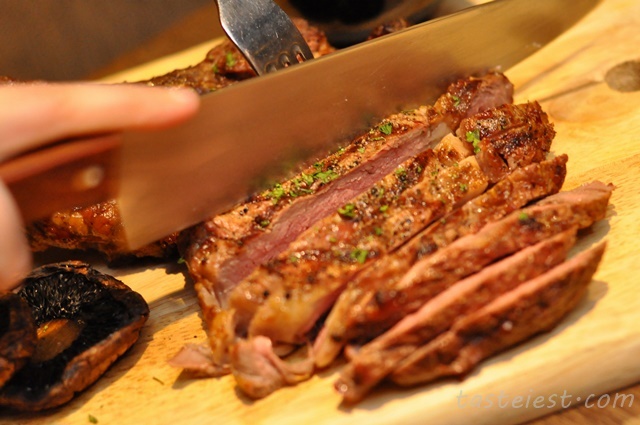 Steak is imported from Australia and cut into hatchet shape from the fore-rib of cows. 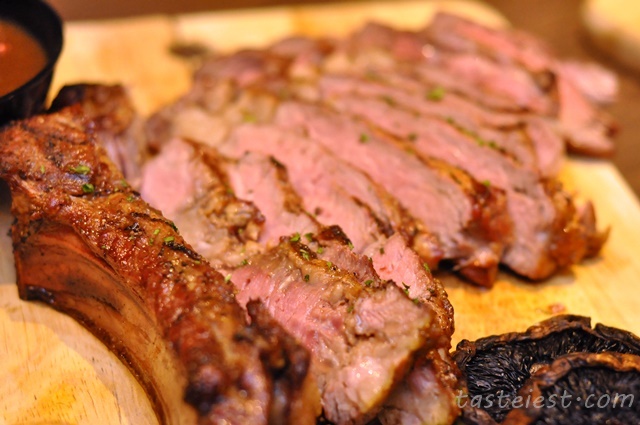 The steaks was cook to perfection with slight pink in the middle, it is juicy and my recommendation is to eat it without any sauce, dip with salt is good enough to taste the original sweetness. By the way, 20% discount for wine Chateau Ste Michelle Canoe Ridge Estate Cabernet Sauvignon (US) and Leconfield Coonawara Cabernet Sauvignon (Aust) at RM277++ and 201++ (before discount) respectively. Chicago Bone-In Ribeye Steak RM118, big, big, big steak! Strictly for sharing, i would suggest 3 to 4 person sharing as the portion really big. 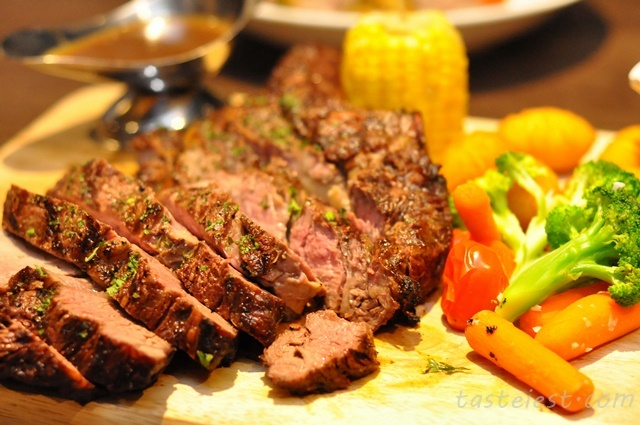 It is nicely grill to medium well with all the juice well maintain in it. Again, dipping with salt is the best option as you can taste the original flavor. 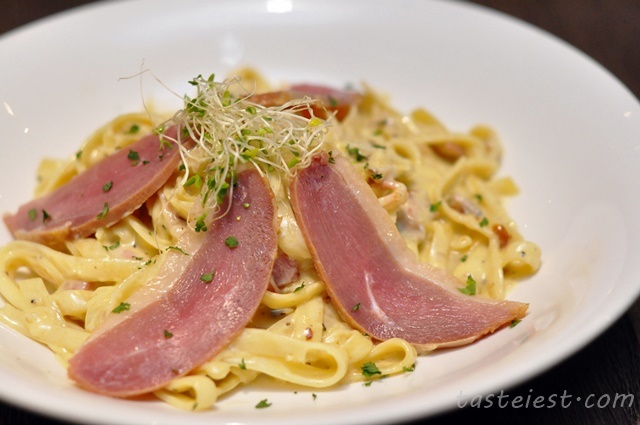 Pasta Carbonara with Smoked Duck RM35, creamy and rich in flavor pasta serve along with smoked duck. 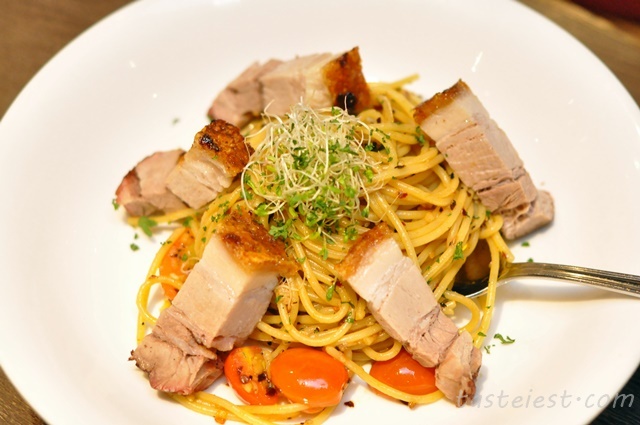 Pasta Aglio Olio with Crispy Pork Belly RM33, it has pretty strong pepper taste which is my favorite, a little bit of spiciness with whole lot of olive oil on it. All American Wagyu Beef Burger RM39, premium patty though. 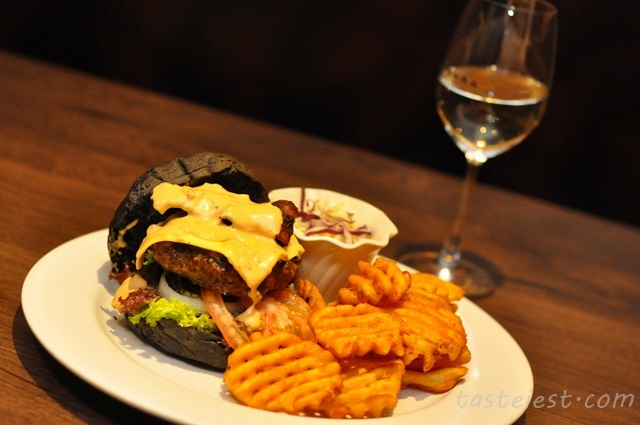 Wagyu beef as patty is rare and it should taste good as wagyu has great amount of fat oil which help to create a juicy patty. Although the patty is juicy but unfortunately too much seasoning, it taste a little bit salty to my liking, it overpower the great taste of wagyu beef. Oven-Roasted Baby Back Pork Ribs RM59, as usual a great presentation of firing up the ribs prior to serving, previously they pour too much alcohol and cause some weird taste, luckily this round they make it right by applying minimum alcohol for the firing process. 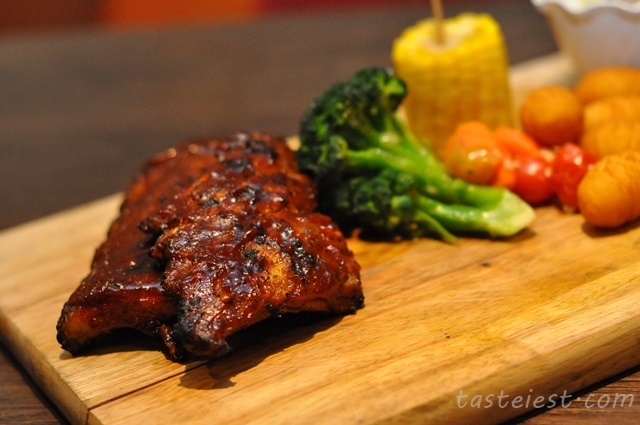 Ribs are perfectly marinated and cooked, meat fall off bone easily and it taste good. 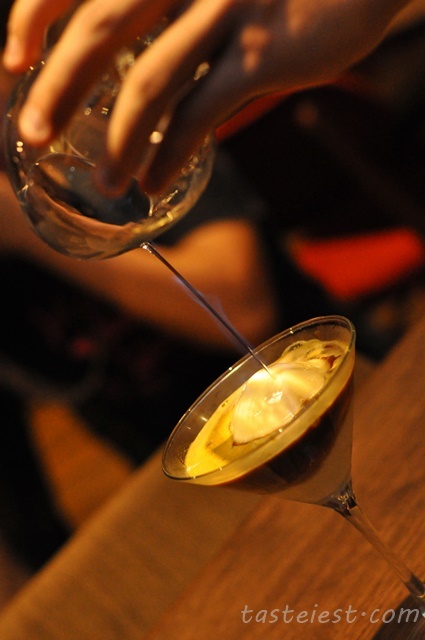 Affogato RM21, is that double shot espresso? Big cup of Affogato, big scoop of ice cream with big cup of espresso. I am pretty sure i need to count sheep at night if i finish the whole cup, but it is too tempting, end up i drink quarter of it. 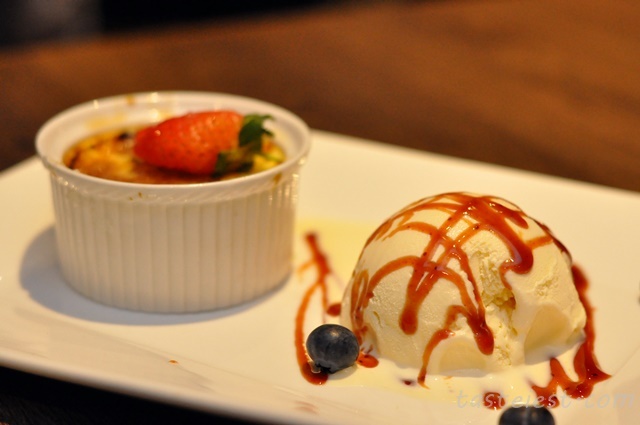 Cream Brulee RM25, cream brulee has strong egg aroma but sadly sugar top crust not crispy, it is too soft and lack of that caramelize texture.